On December 18th, four SPC members will be sharing mistakes they’ve made, and what they would do differently now. You’ll learn how they survived their missteps, and they’ll advise you how to avoid making the same mistakes they did. Before the panel starts, we’ll have small breakout discussions where you can share your experiences and challenges with your colleagues. You’ll be able to help a fellow consultant avoid a costly mistake, and discover how to evade the pitfalls they’ve encountered. Don’t make the mistake of missing this panel. Register now! Jim Connell’s company, Custom Software, is dedicated to helping customers understand and manage their data. 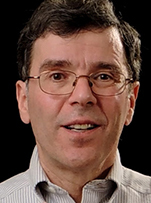 Jim began developing software in 1984. While working as a school psychologist, he wrote code to help him interpret psychological testing results and write reports. Later, when he moved to the business world, he created database applications to manage financial assets and foreign-exchange hedging at Fortune 500 corporations. Jim relies on his finance and psychology background to understand customer requirements and build robust systems. He regularly presents technical sessions aimed at professional developers and database end users. Gina Abudi, MBA, has 25+ years of experience providing consulting services and training to global organizations with a focus on projects, processes and their people. Gina is President of Abudi Consulting Group, LLC, and an adjunct faculty member at Granite State College (NH) teaching in both the Masters of Science in Project Management and Masters of Science in Leadership graduate degree programs. She is also affiliated with New England College (NH) where she facilitates training sessions for corporate clients. Gina is working on her next series of books focused on providing support and guidance to leaders. Ray Graber has a deep and thorough understanding of banking, technology, and finance. His company Graber Associates helps clients in the financial services and technology industries with public relations, marketing, and research. His business experience includes banking technology research at TowerGroup; best practices Internet policies at FleetBoston; wire transfer operations and product launches at Citibank and BankBoston; and treasury operations for a $325 million public company. Robin Hamilton spent over three decades solving problems in corporate, nonprofit and education settings before she founded Boston Bizops Group. During this period as a consultant and manager, Robin unearthed the single biggest challenge most business owners share: poorly organized back-end operations. With effective systems in place – whether selling products, services or both – companies meet far fewer growing pains and roadblocks to success. Robin works with business owners to establish and refine their companies’ operations by maximizing efficiency, minimizing problems, evading potential pitfalls, and thereby greatly reducing stress. Rick Pollak is on a mission to cure boring technical presentations. His company Presentation Medic helps speakers learn how to become interesting and persuasive presenters. Rick specializes in helping his clients structure talks that make an audience care, remember, and act. Rick is currently the operations and membership director of the Society of Professional Consultants.